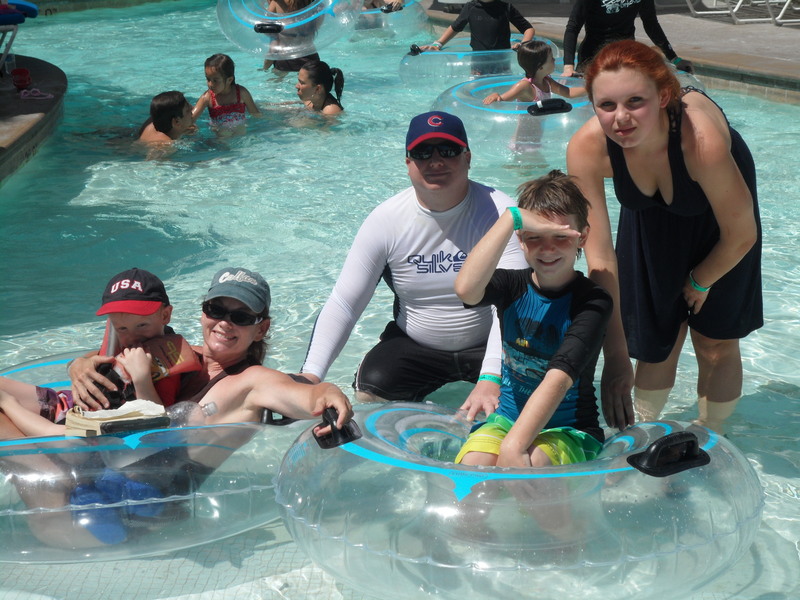 Our family enjoying Splashtopia while we vacation at Rancho Las Palmas in Rancho Mirage. I’m not much of a world traveler. My last passport expired in 1988 and I haven’t even been on a plane since before 9/11. 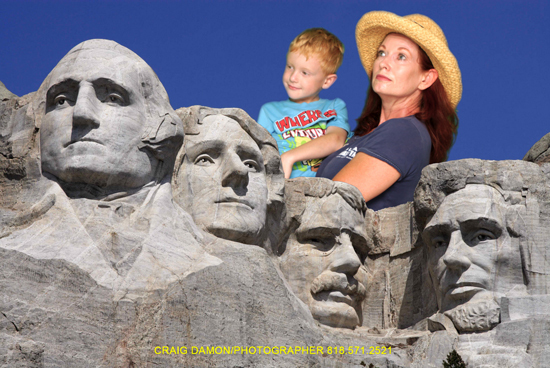 But last Saturday at the Colfax World Fair, photographer Craig Damon gave me and my kids the opportunity to travel throughout the world without paying for airport parking or experiencing a minute of jetlag. 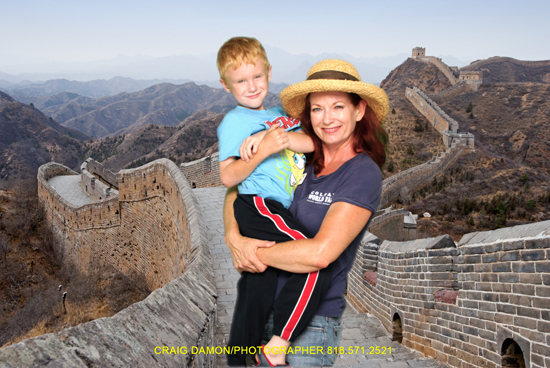 Jake and I walked over 5,000 miles along the Great Wall of China, but on the way back he said he was too tired, so I had to carry him. 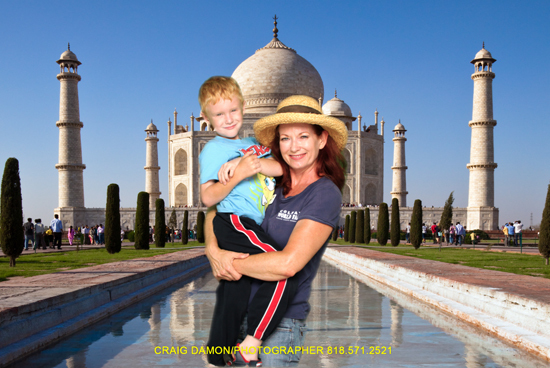 Here Jake and I are at the Taj Mahal. I stopped him just in time before he drew a picture of SpongeBob in Sharpie on the mausoleum. 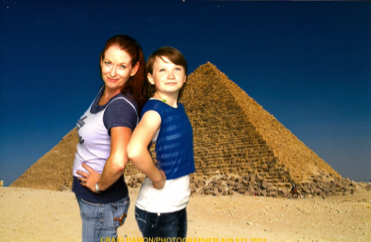 Mary and I traveled to Egypt to see the pyramids. She was very disappointed that there was no casino with an all-you-can-eat buffet. 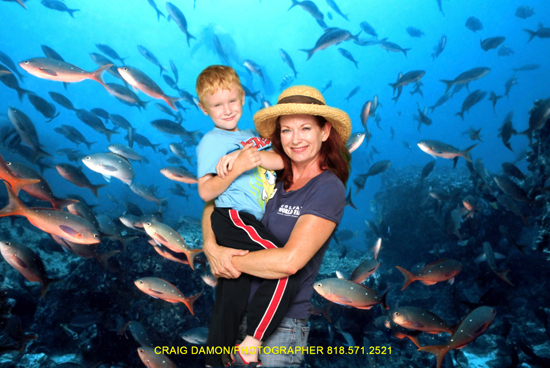 Now we’re swimming with the fishes in the beautiful Caribbean. Pretty cool that our clothes never got wet. 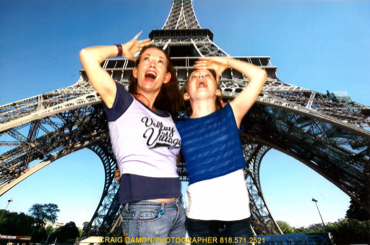 Mary and I were amazed at the height of the Eiffel Tower. We tasted about 50 different kids of cheese and then the next day we were completely constipated. Jake was really excited about visiting Mount Rushmore because he learned about it on an episode of Phineas and Ferb. Jake figured that they were the ones who took away the presidents’ bodies. 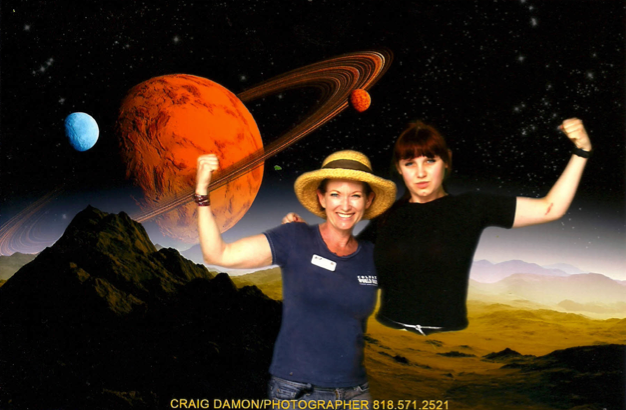 Being the teenager that she is, Emily didn’t really want to travel the world with her uncool mom, so I convinced her to join me on a trip to Titus – Saturn’s largest moon. Unfortunately Emily forgot to pack the lower half of her body. Either that or Phineas and Ferb stole it too, and are hiding it somewhere near Mount Rushmore. You would think that with all this traveling I would have thought to bring a change of clothes. Next year at the Colfax World Fair I’m hoping that Craig takes me on a trip to Tahiti. Maybe for that vacation I’ll take my husband and leave the kids at the fair.